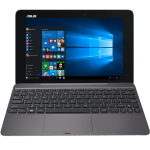 Perhaps the most interesting device announced at the show was the Asus Duet, a dockable x86-based computer (similar in design to the Transformer book) which natively runs both Windows 8.1 and Android x86 with quick switching between the two. We’ve seen similar devices which actually have Android hardware inside in addition to the usual x86 Windows hardware. The Duet is different in that Android here is actually running on the same Haswell processor that Windows runs on—at the same time. Android also has access to all of the ports on the device since it is running natively on that hardware. Asus claims the Duet runs Android up to twice as fast as tablets based on ARM processors. When switching between Windows and Android, the background OS will freeze while you use the foreground OS; when switching back you can pick up right where you left off. The unit will include up to a Core i7 Haswell processor and 4GB of 1600MHz RAM with up to 128GB of SSD storage in the tablet itself, and up to a 1TB HDD in the keyboard dock. The keyboard dock features two USB ports (one 3.0, the other 2.0), a full ethernet port, and full HDMI. 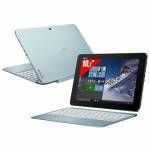 The screen is a 13.3-inch 1920×1080 IPS touchscreen. Total weight of the tablet and dock is 1.9kg. The unit is expected to make landfall in the U.S. at the end of Q2 2014. The Dell Venue 11 is an impressively thin and small Windows tablet given that it’s rocking out a 1080p display. It comes with two choices for a keyboard dock: the Dell Tablet Keyboard Slim (shown in the video) or the Tablet Keyboard Mobile which includes a more full keyboard and an embedded battery to keep the unit running longer. The Venue 11 comes in Atom and Haswell flavors: either the Atom Z3770, Core i3-4020Y, or Core i5-4210Y, with the Atom version being the cheapest, staring at around $500. The Vaio Flip 11 (excuse me calling it the ‘Fit’ 11 in the video, that’s another unit) is the second foray for Sony into the world of modern convertibles. They approach the convertible aspect with an interesting screen that unlock and flips around on a hinge. It isn’t my favorite solution as a convertible device. The unit is using a Pentium N3520 processor. The unit is equipped with an N-Trig active digitizer touchscreen which still has spotty support for Adobe’s Creative Suite programs. Panasonic is not a big computer name here in the U.S., to it was cool to see one of their latest Ultrabooks at CES. The AX3 felt completely built for work, which is to say that it was ugly but fully functional. Even with a number of full-sized ports, the AX3 was quite thin. The unit was fully metallic and felt rugged. 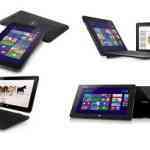 It is equipped with a 1080p touchscreen which can flip back Yoga-style to convert to a tablet. 1.9 KILO devices. It should be 1.9 POUNDS! The 2-in-1s going that way is going to miserably fail. 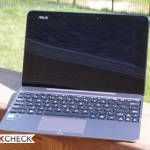 It achieves nothing good in either category, whether Ultrabook, or Tablet. Plus, detachables like these are way too heavy. It’s better to get a small Bay Trail Tablet and buy a cheap Bluetooth keyboard. Regarding the Panasonic AX3: You completely missed that the battery is hot-swappable! Which is quite frankly amazing for such a slim and light laptop-tablet hybrid.